This is my 2nd Father's Day having to buy for the OH from Luke and usually I leave it to the last minute but this year I am prepared. I'm giving his gift a personal touch this year and what better way to make it personal than with photographs?! So I headed over to Snapfish to find something different for this year. We always get the parents a mug of some kind on these occasions, the cupboard is overflowing with the generic "Best Mum" or Best Dad" mugs but we just can't help ourselves and not not buy one every year. This year I wanted to get one like always but wanted to make it more personal so decided on a photo mug. I loved how quick and easy it was to design this mug and get it ordered. I uploaded my chosen pictures, they were input into the mug design. 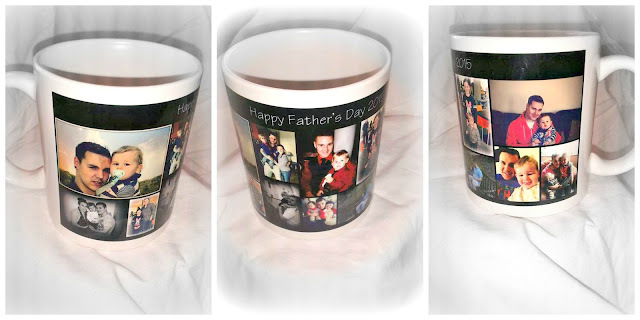 I chose the collage option as I wanted a few different pictures on my mugs. You can select the position of the pictures randomly or do it yourself. I was able to play around with the layout to get my pictures in the exact place I wanted them. I could then choose different coloured backgrounds, I kept it simple with black and white and then I added my text to each mug, taking the personal touch that bit further. They are a decent sized mug too although I think they may end up being ornaments once we have given them as gifts! 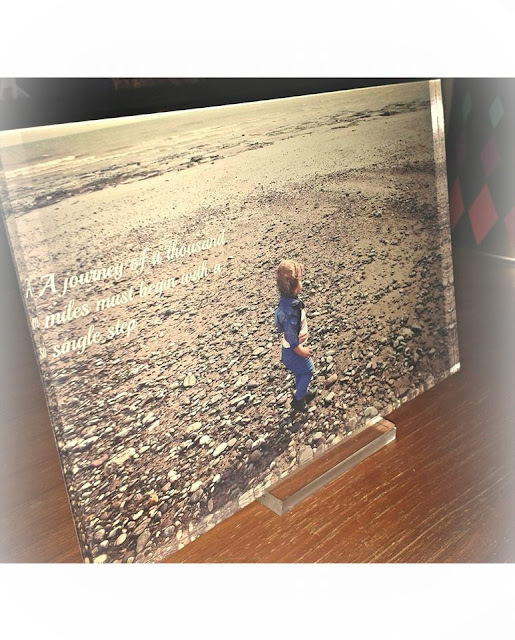 While ordering my mugs I also spotted the acrylic photo prints that you could order. I keep meaning to get some pictures done in either a canvas or poster print rather than the usual framed photo's and thought this would be an ideal option. I ordered the smaller size of 10cm x 15cm to see what I thought of it and I love it! It comes with a desk mount and it gives the illusion of a free standing picture. I will definitely be ordering more of them. I can't wait for myself and Luke to give these gifts to the OH and my Dad on June 21st! 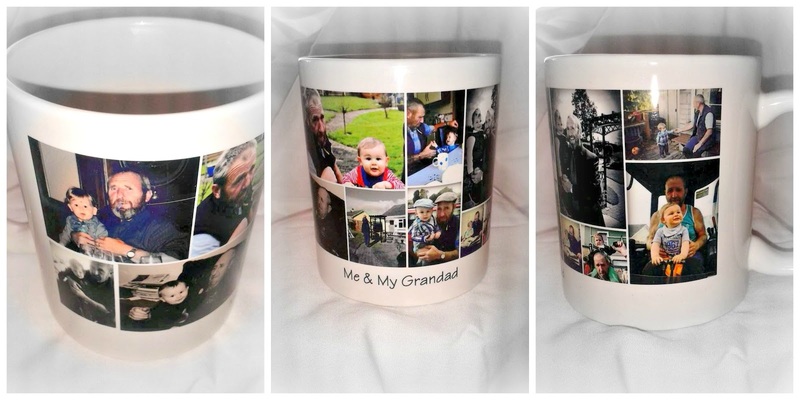 If you are looking to order a Father's Day gift with a personal touch, head over to the Snapfish website where they have a range of creative options available. Obviously the sooner you order the better but June 14th is the cut off date to ensure it's delivered on time. Personalised gifts always make great presents. I love the acrylic photo posters!